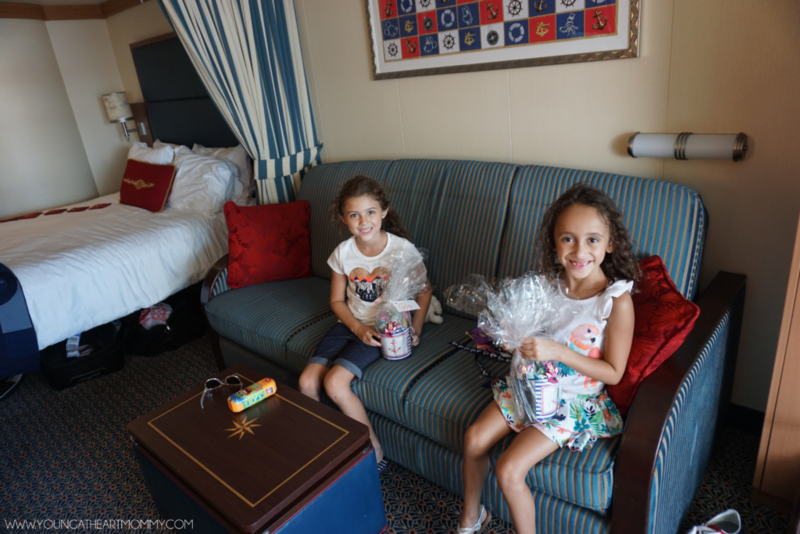 After spending a weekend aboard the Disney Dream during the summertime, we learned a lot about all that goes into making it so magical. From the spectacular fireworks show during Pirate Night to the hidden Mickeys scattered around the ship, you’ll find pixie dust in every corner. But before you embark upon the ultimate family vacation, here’s a few tips on how you can make your stay even more memorable for the entire family. Many cruisers participate in something called the Fish Extender exchange in which families swap surprises with one other during their voyage. This tradition has been around for almost ten years now and is a ton of fun. Here’s everything you need to get started prior to your sail! A fish extender can be just about anything, as long as it has pockets to hold goodies from your fellow shipmates. The majority are handmade and store bought. If crafty, sew your own together using Disney themed fabrics or order one from the talented sellers on Etsy. Keep in mind, it should be between 8″ long and 12″ wide, with pockets for each person in your cabin. Each pocket should include the person’s name so everyone receives something just for them. If you have a large family, it’s best to allow each child to have their own pocket while the adults share a pouch on the top. Those participating will hang their Fish Extenders outside of their doors on the signature pewter fish clip outside of each cabin. You’ll see many as you walk around the ship since this is a major tradition for repeat cruisers. 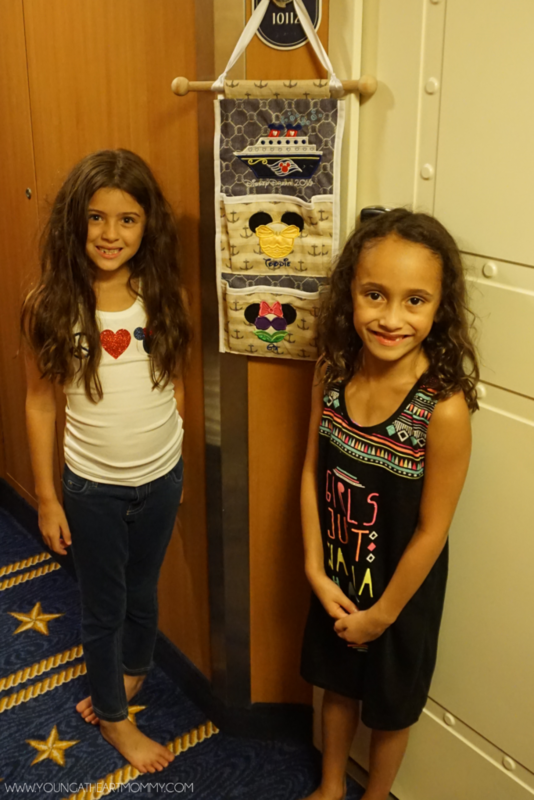 It’s fun to see other people’s designs and stateroom decorations in the process. HOW DO I FIND FAMILIES TO EXCHANGE WITH? The best place to connect with participating families is on the DISBoards (The DIS Disney Discussion Forum), where you can locate your specific sailing date thread to chat with others on your cruise. Also, you will find that each sailing date has a Facebook group in which fellow cruisers can chat. Here is another place to find families interested in exchanging. Since you will be in contact with the families you are trading with, ask them a few questions about what they like or who their favorite Disney character is. That way, you can give them something they will truly appreciate and use on the cruise. WHAT GOES IN THE FISH EXTENDERS? Fish Extenders can be filled with anything from store bought goodies to homemade loot. Think small and practical. Don’t try and stuff your suitcase with 27 tumblers and a pile of Mickey beach towels. 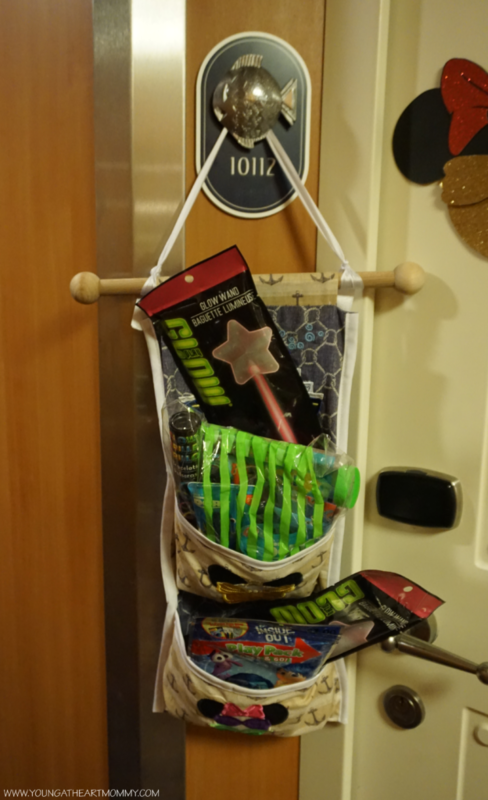 The gifts are usually cruise themed and can be used during the recipients trip. Here are some ideas: magnets, buttons, hand sanitizers, coloring books, crayons, packaged candy, specialty treats from the state or city you live in, koozies, tote bags, soaps, key-chains, autograph books, lanyards, Disney pins, luggage tags, glow sticks, eye patches for Pirate night, mini flashlights, stickers, bracelets, etc. Many of these are items you can find at the dollar store or online on Etsy. I always search in Target’s dollar section because they have a ton of cute Disney merch. 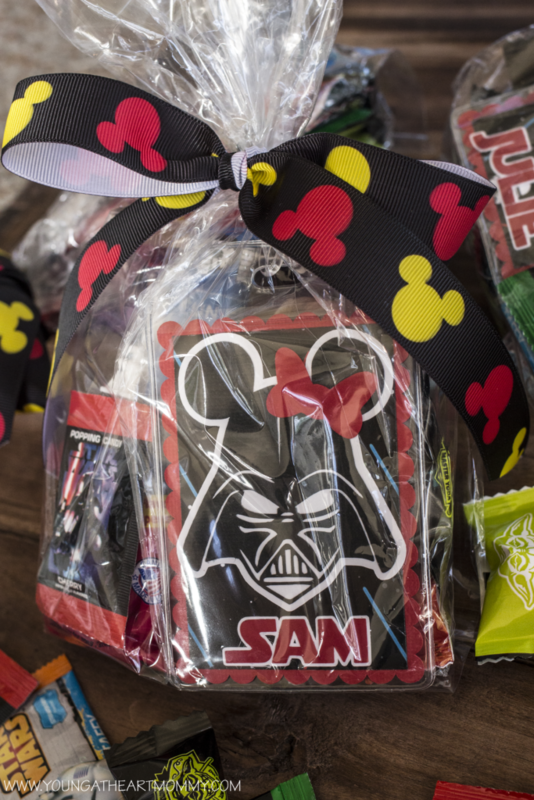 You can practically add Disney magic to anything by personalizing it with stickers or embellishments. Don’t spend an arm and a leg buying things. You can participate with more families if you keep it affordable. Also, bring a few extras because it’s not uncommon for others to go around and anonymously sprinkle a little pixie dust in your pockets. Spread the love and put a smile on a fellow cruiser’s face! DO WE HAVE TO PARTICIPATE EACH DAY? No, of course not! Daily participation is optional and discussed beforehand. Prior to sailing, you should be chatting with those you will be exchanging with, even if it’s just two or three families. Whether you connect through a Facebook group created specifically for your travel dates or on the DISboards, you will notice that many experienced cruisers are comfortable swapping once a day. This is not expected & is something you can agree upon with those you are trading with. There are many newbies that are fresh to the Fish Extender game that would be more than willing to keep the process stress free without pressure. From experience, I found dropping gifts off once a day manageable, usually at night before we headed to dinner. That way, everyone returns to their cabins and are greeted with a small surprise to end the night. Remember, there is A LOT to do on the cruise so don’t over extend yourself. Keep it fun! What a great idea! I think I might do this when we sail next month. Thanks for the info. This sounds like so much fun! I would love to do this someday. It is! It's a lot of work to prepare the surprises if you're making them by hand but in the end it's totally worth it. I LOVE THIS! Definitely will do this in May 2017 on the Disney Dream ! Please help with how I can reach out to others on the ship that will participating with the Fish Extenders! Thank you so much! First place to check are the DISBoards, link above. Here you will find the direct thread that corresponds with your sailing dates and others participating in the FE exchange. We are going in dream may 12th-15! I found a group on Facebook that has about 9 families doing this so far. What a really neat and fun idea. This would definitely add some excitement to the cruise. Face book also has groups named by your cruise ship and date. They are also the best way to find FE groups. Have fun. Hi Amanda! It really depends on the size of your group and how you choose to do it. When we went, we had about five other families to exchange with so it wasn’t too crazy or costly. I would think that with a group of your size, one gift per person/per family would be sufficient. It’s completely your choice. It can get really expensive so I would definite space it out and not worry too much about giving something each day. Hope this helps!